The Schuberth E1 Matt Black Helmet is the latest feature in the Schuberth Range. The E1 offers adventure riders a premium modular helmet designed to excel when the ride leaves the road, and moves onto the dirt. The Schuberth team created the E1 using Schuberths’ very own aeroacoustics lab, which helped to create a helmet optimized for both aerodynamic and aero-acoustic performance. 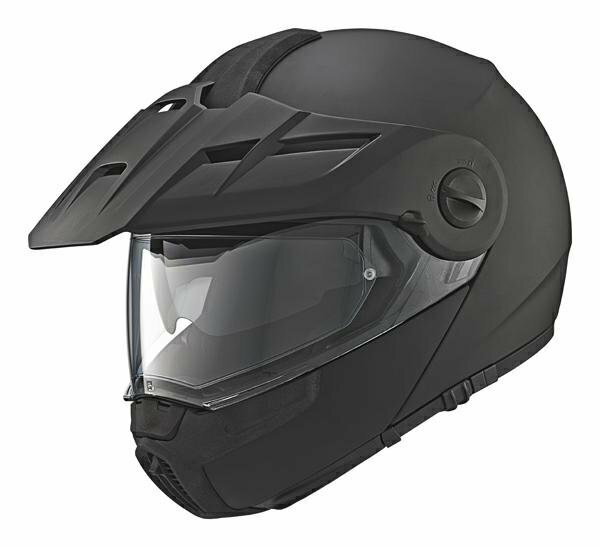 Using Schuberths’ Anti-Roll-Off System to keep the helmet in place, Removable and Washable inner linings, Schuberth have created a helmet, perfect for all adventures.